Hospice agencies would receive a 1.3% increase in Medicare payments in fiscal year 2015 under the CMS' proposed wage index, according to a proposed rule posted on Friday, May 2, 2014. The $230 million payment increase is the net result of a proposed 2% rise in per diem rates and a 0.7% decrease in payments due to updated wage data and the sixth year of CMS' seven-year phase-out of its wage index budget neutrality adjustment factor (BNAF). The total phase-out will be complete by FY 2016. By comparison, hospices received a 1% increase in Medicare payments in 2014 (HHL 8/14/13). CMS seeks definition for "terminal illness"
As part of the proposed rule, CMS is soliciting comments on definitions of "terminal illness" and "related conditions." Prior rules have "reiterated that all diagnosis codes contributing to the prognosis of the beneficiary should be reported on the hospice claim," the proposed rule states. "However, coding practices continue to show that hospices are primarily focused on one diagnosis code on the hospice claim. We have also received numerous inquiries that indicate providers need formal definitions for the terms 'terminal illness' and 'related conditions.' "
In addition to soliciting comments on those definitions, CMS is soliciting comments on processes Part D sponsors could use to coordinate with hospices in determining coverage of drugs for hospice beneficiaries (HHL 4/21/14). Other items proposed in the rule include the Notice of Election (NOE) and notice of termination/revocation of beneficiaries within three calendar days of admission/discharge. If the NOE isn't filed in a timely manner, the days from the effective date of election to the date of filing the NOE would be the hospice's financial responsibility. "Late filing of the NOE can result in inaccurate benefit period data and leaves Medicare vulnerable to paying non-hospice claims related to the terminal illness and related conditions and beneficiaries liable for cost sharing associated costs," a CMS fact sheet about the rule states. Hospice Experience of Care Survey. Hospices are required to begin using the survey for informal caregivers of hospice patients surveyed in 2015. The proposed rule provides a description of the development of the survey, the CMS fact sheet states. The proposed rule also outlines participation requirements for CY 2015, and announces the planned launch of a website for the hospice survey, beginning in summer 2014.
hospices during FY 2015. With the new Quality Reporting Requirements for Hospices the costs would be $8.77 million. Hospice care is an approach to treatment that recognizes that the impending death of an individual warrants a change in the focus from curative care to palliative care for relief of pain and for symptom management. The goal of hospice care is to help terminally ill individuals continue life with minimal disruption to normal activities while remaining primarily in the home environment. 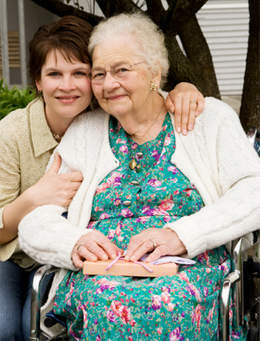 A hospice uses an interdisciplinary approach to deliver medical, nursing, social, psychological, emotional, and spiritual services through use of a broad spectrum of professionals and other caregivers, with the goal of making the individual as physically and emotionally comfortable as possible. Hospice is compassionate patient and family-centered care for those who are terminally ill. It is a comprehensive, holistic approach to treatment that recognizes that the impending death of an individual necessitates a change from curative to palliative care. by means of early identification, assessment and treatment of pain and other issues.